COLOR DETAILS: Highly variable with stark grain contrast. Dark brown with black stripes to lighter brown and even salmon colored stripes. 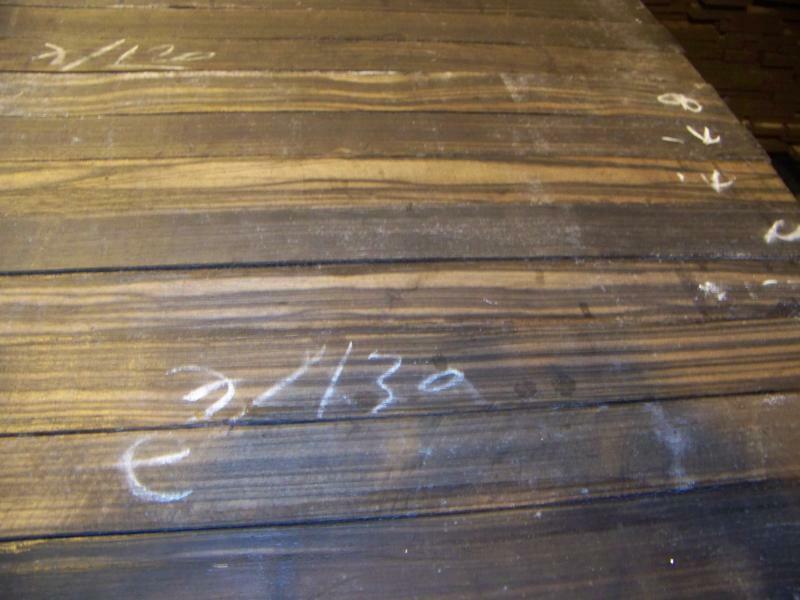 WORKABILITY: An exceptionally heavy dense wood that can be difficult to work with due to blunting effect on cutters and occasional interlocked grain. 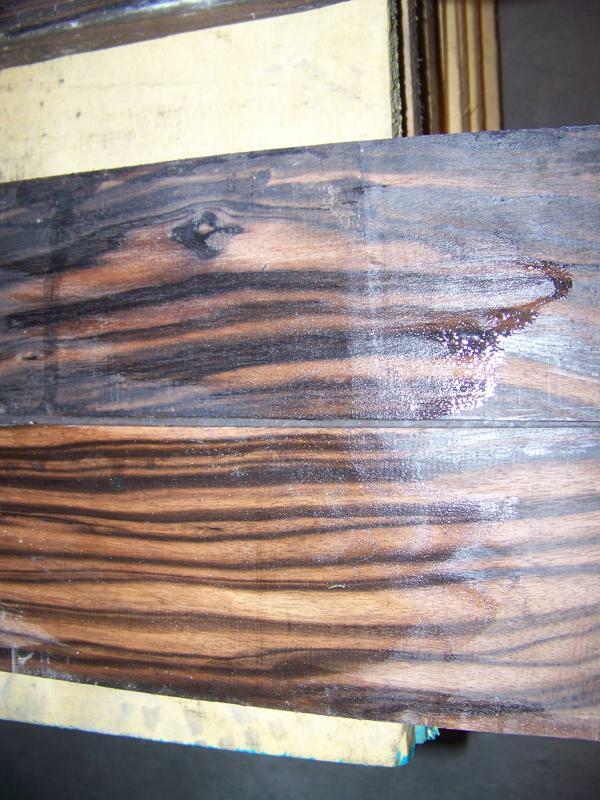 Macassar Ebony is sometimes called striped Ebony due to it's pronounced stripes and is an outstanding choice for a unique look in high-end furniture and millwork applications. 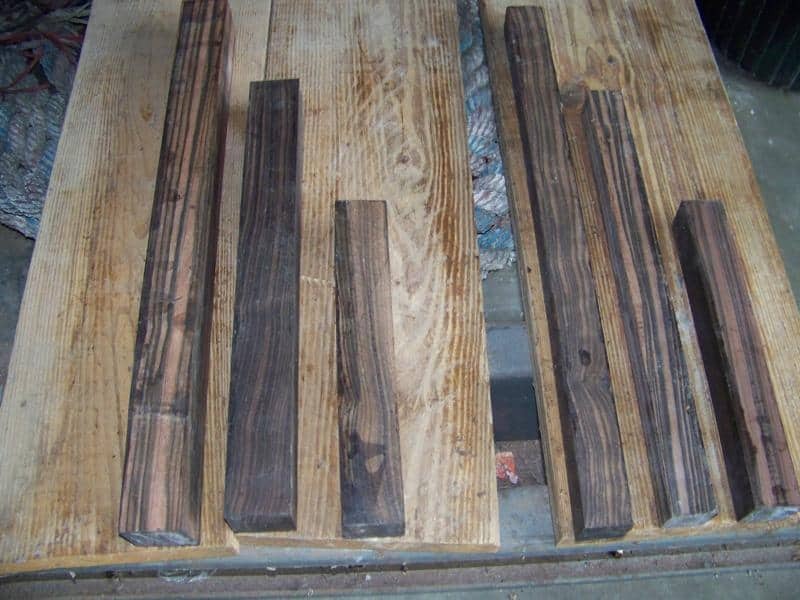 It is an extremely heavy, dense hardwood that can be a challenge to work with and therefore pre-boring and sharp knives and tools are needed. 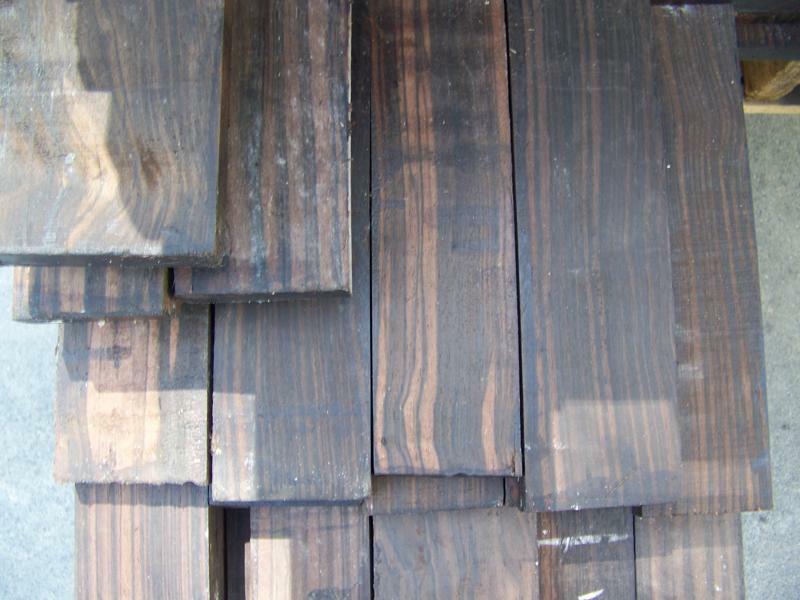 Call Tom or Pat at 1-877-983-6367 to discuss your Macassar Ebony Lumber needs.